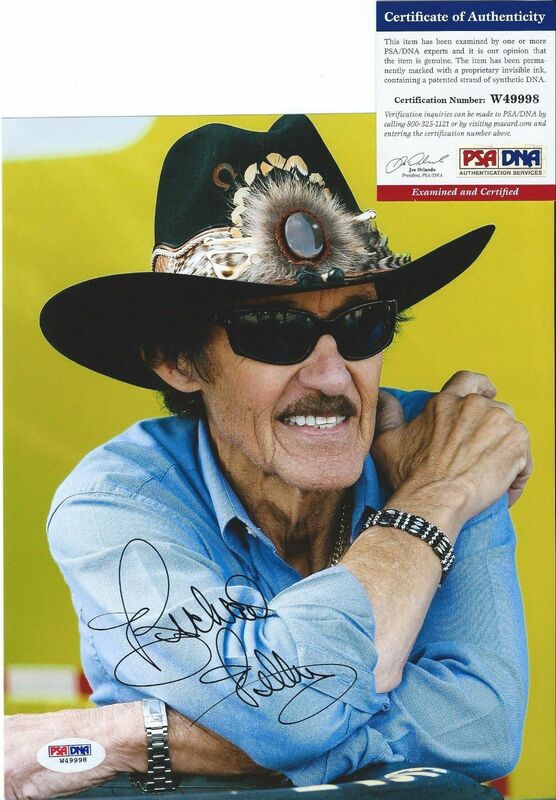 8x10 portrait photo autographed in thin black marker by legendary NASCAR driver Richard Petty. 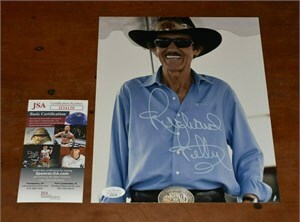 Authenticated by PSA/DNA with their matching numbered sticker on the photo and certificate of authenticity card. ONLY ONE AVAILABLE FOR SALE.